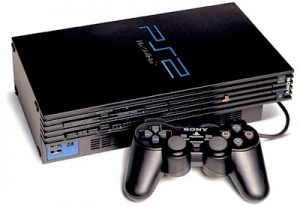 The PlayStation 2 is a console created by Sony in 2000. It is the number one best-selling system of all time, selling more than 155 million units worldwide. The console's lineup featured many 3D titles, with a few being 2D games that utilized sprites as well. The PlayStation 2 uses DVD-based technology, meaning that all of the data found within a game can be read using a standard ISO viewer (with only a few exceptions), or by inserting the disk into your computer and browsing it. As such, the console has a vast number of different formats that are used that require their own dedicated tools to view. Some common formats can be seen below. A number of games, however, are restricted. When trying to view the files on the disc, it's possible that there will be significantly less than you would expect from the reported file size used on the disc. These files are hidden, and are generally not able to be accessed. The only means of ripping from games with these restrictions is by playing with an ISO of the disc directly, and not by mounting it. This can of course be an arduous task. TextER can be found for Windows at www.romhacking.net. It allows you to extract .TM2 (TIM2) files found within other files. This method doesn't return the correct file names, however. A batch file can be created to make ripping TIM2 files from multiple containers quicker. Save the code below into a ".bat" file, and include it in the same folder as TextER.exe. Running the .bat file will then extract any TIM2 files found within all of the files in the same folder as both TextER.exe and your batch file. For more details on this file format, please visit the TIM2 page. The .TIM2 file format is a common format for both sprites and textures. PCSX2 is the only fully functional PlayStation 2 emulator, and as such is the only one that can be recommended. It requires a relatively strong system, and is not always 100% compatible with every game.